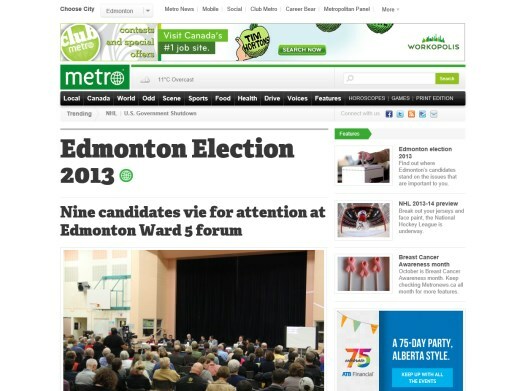 With the municipal election dominating the headlines lately, I thought it would be interesting to see what local media organizations are doing to cover the news and inform voters. The Journal’s election site features the latest headlines, a countdown to election day, an interactive ward map, an events calendar, and recent tweets. In addition to the latest headlines, Global’s election site features a live blog, an interactive ward map, video features on the mayoral candidates, a list of school board candidates, and links to candidates around the capital region. 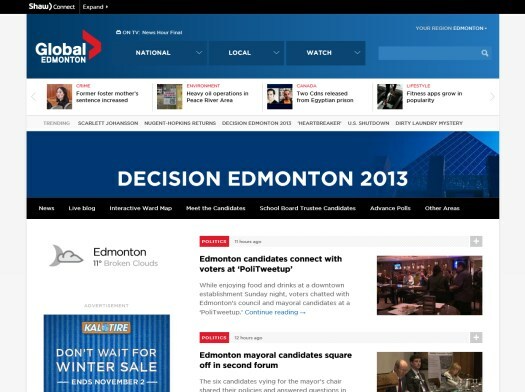 Metro’s site is essentially just a listing of stories tagged as election-related, but it is updated very frequently. I’m certainly behind where I hoped to be by now, but I do have a big update that should be launching later this week. 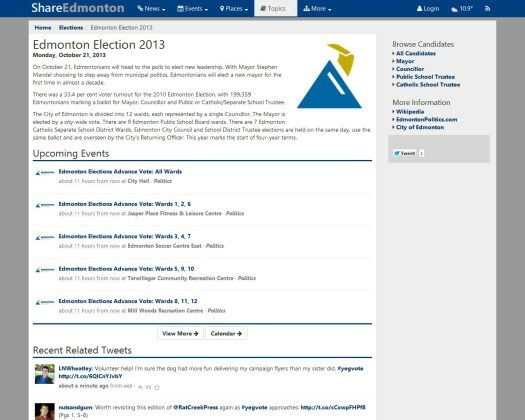 Currently at ShareEdmonton you can see a list of all candidates, a list of upcoming election events as well as a calendar, and election-related tweets. Stay tuned! CBC has a pretty comprehensive election site, complete with the latest headlines, an election countdown, a live blog, and an interactive ward map. There are video links embedded throughout, and they’ve also been hosting live chats using CoveritLive – here’s a recent one on sprawl. 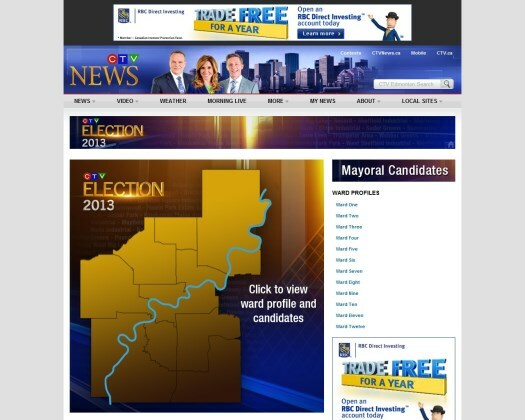 Just as they did last election, CTV has features on each ward and each candidate, complete with video answers for all the questions. It’s clear they have a put a lot of work into it! 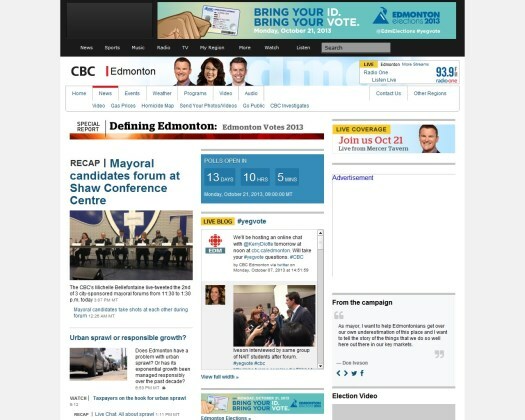 Definitely worth checking out, I just wish CTV also had an easy-to-access list of election-related headlines. 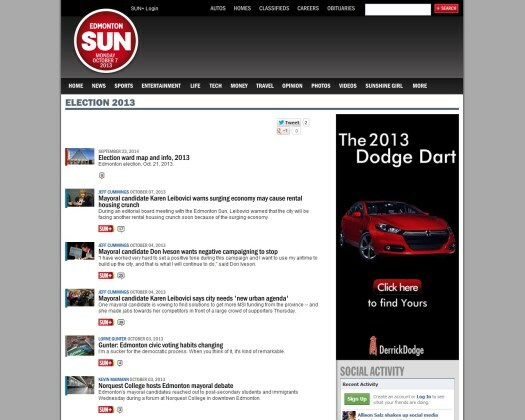 The Sun’s election site is just a listing of election-related headlines, though they do have a pinned story that contains an interactive ward map and live blog. 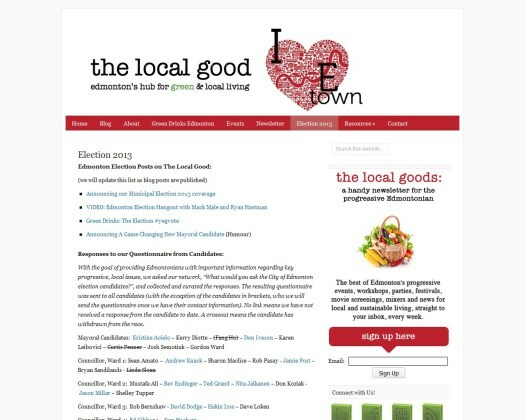 In addition to listing answers to their own questionnaire, The Local Good has a growing list of additional election resources. There you have it! You can see the rest of my own election coverage here. 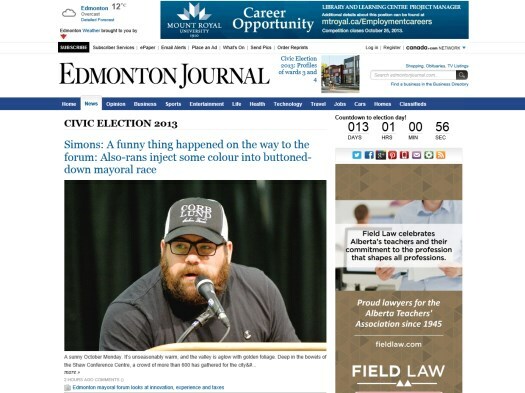 I’m also contributing to EdmontonPolitics.com along with Dave and Ryan. Get informed and make sure you vote on October 21!